The Online Photographer: We All Love Photography Now, It's Official! We All Love Photography Now, It's Official! 2007 has been quite a year for photography in the U.K. Our two biggest cultural institutions have belatedly turned their attention to the charms of this pertinent and democratic medium. In May 2007, Tate Britain mounted their first exhibition dedicated to British photography (How We Are)—a venture that proved hugely popular. Although they had announced their newfound enthusiasm for photography in 2003 with the epic Cruel and Tender exhibition at Tate Modern, this was the first Tate show to deal with homegrown imagery. Not to be outdone, the BBC is transmitting "The Genius of Photography," a series that updates the history of photography, an idea not attempted on British television for over 25 years. This is somewhat surprising, as the popularity and accessibility of photography is never in doubt. Now that everybody in the country can be a photographer, thanks to mobile phones, the appetite for intelligent debate on the medium has never been greater. What better way of feeding this than enjoying some of 750 photography books distributed in the U.K. this year alone? My first choice is The Genius of Photography U.K. , n.a. in the U.S. but coming in paperback ), written by Gerry Badger to accompany the aforementioned BBC series and published by Quadrille. This is an excellent primer on the history of photography and leads us through the complexities of understanding what makes a great image and how the medium’s role in society has evolved as technology has changed. Photography is both very simple and also complicated. This book lays out these debates in a clear, authoritative way. Photography publishing is much enriched in the U.K. by a handful of small independent photography publishers such as Chris Boot, Dewi Lewis and Trolley. They have had a good year and my next choices come from these sources. I’m a Real Photographer by Keith Arnatt (Chris Boot, U.K. , U.S.) showcases the work of this important artist. Arnatt made a unique journey from being a respected conceptual artist in the '60s and '70s to working in obscurity as a photographer. A colleague at Newport Art School, David Hurn, encouraged him to look at the work of Walker Evans and August Sander. Bitten by the photography bug, Arnatt spent the next twenty years examining in cool detail aspects of life to be found within striking distance of his South Wales home. Documenting landfill sites, the local pet shop and even the notes that his wife left him on his return home, this book demonstrates well how everyday details can be so engaging, given the right treatment. 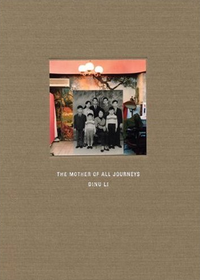 The Mother of all Journeys by Dinu Li (Dewi Lewis, U.K. , U.S. ) is a charming book that examines the memories of the photographer’s mother and her journey from rural China to Manchester, with an intervening 20 or so years in Hong Kong. The book combines her old family snapshots with contemporary images taken by Li in all three locations. The book delicately displays the poignancy of the family snapshot, illustrating the gap between memory and present day reality. We also learn much about the issues and difficulties surrounding immigration. Photography, with respect and sensitivity, can become a valuable form of therapy. There have been a few books this year that feature North Korea, that fascinating Stalinist theme park. For me the best of these was Charlie Crane’s Welcome to Pyongyang ( Chris Boot, U.K. , U.S. ). Working with Nick Bonner, who actually got the blessing of the North Korean authorities, Crane was able to take formal-looking portraits of everyone from a petrol attendant to a table tennis player. The guides who helped Bonner and Crane were then invited to write the captions for the photographs, and they are written in true propaganda style. This combination gives the book its edge. Many Western photographers are attracted to China to document the remarkable transformations taking place in this country. 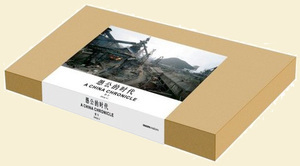 A China Chronicle by Zeng Li (MCCM Creations, U.K. , n.a. in the U.S.) is an amazing book documenting contemporary China. Li says on the cover: “My wish is to construct a museum of images of today’s history.” He achieves this goal with considerable style, using a large format camera. We see a warts-and-all depiction of China that would not go down well with the Chinese tourist board: factories, blocks of flats, shabby hutongs, polluted rivers. But do not despair: Li’s attention to detail makes these features fascinating. If you want to see what China really looks like, this is the book to get. Closer to home, the new whiz kid of British documentary, Stephen Gill, has decided that the best thing for him to do is publish his own books. And what a treat of a trilogy he has produced this year. Hackney Flowers (Nobody/ Archive of Modern Conflict, U.K. , U.S. ) is my personal favorite. Hackney doesn’t sound the most promising territory for a photography project, but this is his fourth book on his neighborhood area. Gill has collected various discarded photos found in the local flea market and combined these with some of his own images interspersed with images of pressed flowers and berries, also sourced from Hackney. The combination of these image sources is most surreal. Gill has the uncanny knack of finding juxtapositions that defy belief. Paul Graham is British documentary photographer who now lives in the U.S.A. He has produced A Shimmer of Possibility (Steidl, U.K. , not currently shipping and probably out of print; n.a. in the U.S.) which is in fact twelve separate books. These books, although all the same size, vary in length from one photo to 60 images taken at one intersection. All the images depict a somewhat down-beat view of America, and, rather tantalizingly, very little appears to be happening. Some of the books weave two or three narratives together and the accumulated effect becomes rather filmic. As always, Graham is keen to discover new ways of presenting photographs and this is a bold and successful attempt to rewrite the rules of documentary. Britain’s best known photojournalist is Don McCullin who has recently published In England (Random House, U.K. , n.a. in the U.S.). Here, he combines iconic images taken in the '70s with new shooting from 2006. 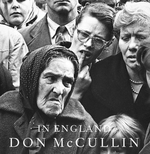 However, many of the new photos also could have been taken 30 years ago, as McCullin’s sooty black and white grainy images of people at either end of the wealth spectrum offer an almost cartoon-like rendition of the English. The most difficult thing for any photographer to achieve is a personal vision, and McCullin scores very well on this front. It is a pleasure to see 40 years’ shooting in England in one volume. An American Index of The Hidden and Unfamiliar by Taryn Simon (Steidl, U.K. , U.S. , not shipping currently but reportedly slated for another edition soon) is a book that does what it says on the cover. Simon has managed to get into many secret places in the US, taken rather beautiful photographs and then given ample explanations and descriptions of what is going on. Sites include the missile control center on the USS Nevada and the death row cage at Mansfield Correction Institution. I imagine it took ten times longer to get the permissions than to take the photos. This is a curious collection documenting locations that we would only ever see in person if we were in big trouble. Another unfamiliar subject crops up in Nein, Onkel (No, Uncle) edited by Timothy Prus and Ed Jones (Archive of Modern Conflict, U.K. , n.a. in the U.S.). This mischievous book shows what can best be described as fun-loving Nazis. The Archive has amassed an outstanding collection of war imagery and has specialized in locating snapshots taken by soldiers on the war front on both sides of the divide. This collection shows Nazis having parties, dressing up, messing about and generally not behaving in the serious manner one would normally associate with them. These images certainly cause us to question the assumptions we have about evil, reminding us that Nazis were real people with a human capacity for fun and humor. Alec Soth is a renowned documentary photographer who has recently branched out into fashion. In his Fashion Magazine (Magnum Photos, U.K. , U.S. ) Soth explores the world of French high fashion and photographs the gentle folk of Minnesota dressed in the latest creations. The juxtaposition is a delight. Perhaps the wittiest contribution is entitled "Packshots." Soth acquired various top-brand bags, accessories and even a crystal glass. He planted these in the landscape and photographed them, inviting the viewer to engage in a Where’s Wally game of trying to locate the objects. These are perhaps the most oblique adverts you will ever encounter, but rarely would an ad actually hold your attention for so long as you try and work out what it’s for. The whole package is a wonderful exploration of the fashion industry and all the pretense that surrounds it. For my final choice, I have to declare an interest. 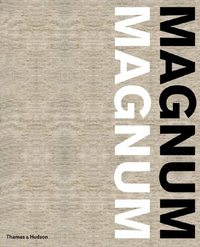 Magnum, Magnum (Thames and Hudson, U.K. compact edition, U.K. full hardcover edition ; U.S. original edition—both full versions probably out of print) is a massive tome celebrating the 60th anniversary of Magnum, the co-operative of which I am a member. The book weighs in at 6.5 kilos and costs £95. This works out at £14.62 a kilo. Not bad when you see just how much book you get, and about the same price as cod. What gives this book its edge is that the photographers have chosen to select the work of other Magnum members and the result is a very fresh, insightful and original commentary. This echoes the principle that new Magnum members are voted on by secret ballot. The photographers have written introductions to their choices and, although generally they are better photographers than writers, you do get a sense of the camaraderie and respect that keeps Magnum together. Most of these books will be available at good bookshops, but a few like Nein, Onkel and China Chronicle may have to sourced at a specialist photo-bookshop like the Photographers’ Gallery in London. 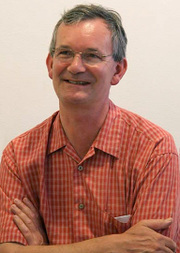 Portrait of Martin Parr (top right) by Peter Stubbs. Used with permission. As one of Jewish faith I take extreme exception to calling Nazis "fun-loving." We all know how they took their "fun." Please delete this book and the comments from this article. Thank you. It appears that any mention of the word "Nazi" will lead to controversy. I would like to know if Mr John Brewton has actually looked at the mentioned photo book before requesting the mention of it be removed from Martin Parr's article. Yes, history tells us that the Nazi regime committed terrible atrocities. Nevertheless, I suspect that Prus and Jones didn't have the intention of compiling a book of Nazi propaganda. All armed forces are composed of regular people from all walks of life being ordered around, and I don't think the German army at the time was any different. I think it's important that works such as the one mentioned are important ones in adding some historical insight (just like any other journalistic work). On the "fun-loving Nazi" question -- the point of this book isn't that Nazis were okay and lovable. This kind of thing points toward the juxtaposition of great evil and banality. I haven't seen this book, but I've seen similar snapshots recovered from Auschwitz and displayed by the United State Holocaust Memorial Museum (excerpts are on-line at the NY Times website). The photos depict the Nazi SS officers having picnics, playing with dogs, lighting Christmas tree lights -- having fun. The Holocaust Museum certainly didn't display these to celebrate Nazis, but to point to the banality of evil. As has often been noted, if we all assume that only very bad people can be led into great evil, that only people who are really subhuman can do terrible things or allow terrible things to be done in their names, we are wrong. In being wrong, we run the risk of letting evil grow unrecognized. We need to be reminded of that. The notion that someone of a particular faith, any faith, can make an appearance in a venue, accuse someone of sympathizing with the enemy of that faith and then make demands of innocent people who are discussing that enemy, is ludicrous. The Nazis had fun at times, at times not at the expense of anyone. They were people. People have fun at times. They did evil things collectively. People do evil things at times. This does not mean that they are not people. This does not mean they are not worth looking at as people. 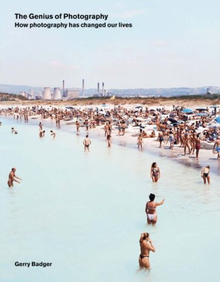 Indeed, that is what makes such photographs particularly chilling: that a person can have a picnic at one moment and, an hour later, report for duty at the ovens. As Lynn Teague pointed out (although I'm not in agreement about the idea that Nazis having fun points to the banality of evil), the line between those who do evil and those who have not can be very fine. To say this is not to defend Nazis or to engage in anti-Semitism. It is to recognize the potential for evil in us all and the potential for good. I would certainly say that Gerry Badger's "The Genius Of Photography" should be on every photographers book self. The TV series was brilliant, but the book was better. Does anyone happen to know why there seem to be two versions of "Magnum Magnum" on Amazon UK, one with a £40 price tag and one with a £95 one? "The Genius of Photography", the series, is really good. I would highly recommend it to any aspiring photographer. There is a full hardcover edition (which is very large) and a compact edition (apparently also hardcover but smaller). I believe that the larger "full" version is now out of print, although Amazon in both the U.K. and U.S. is currently just listing it as "temporarily out of stock." (That designation frequently turns into "unavailable" after Amazon orders more from the publisher and the order can't be filled.) Martin's list was originally published last December. There’s a very interesting interview with McCullin, here. If a few more people understood that the National Socialist party contained a very, very large number of people who were just like you and me, it would do a great deal of good to the chances of humanity avoiding further criminal moral catastrophes of the sorts suffered by Armenians, Soviet Citizens, your co-religionists, Cambodians and others. "Fun-loving Nazis" is indeed a horrible, shocking phrase, whatever your degree of separation from that particular evil might be. I contend that that shock is easily worthwhile bearing if it helps a few more to unlock the truly horrible secret of how close the greatest evils can come to the simplest hearts, and therefore what our personal responsibilities must be.